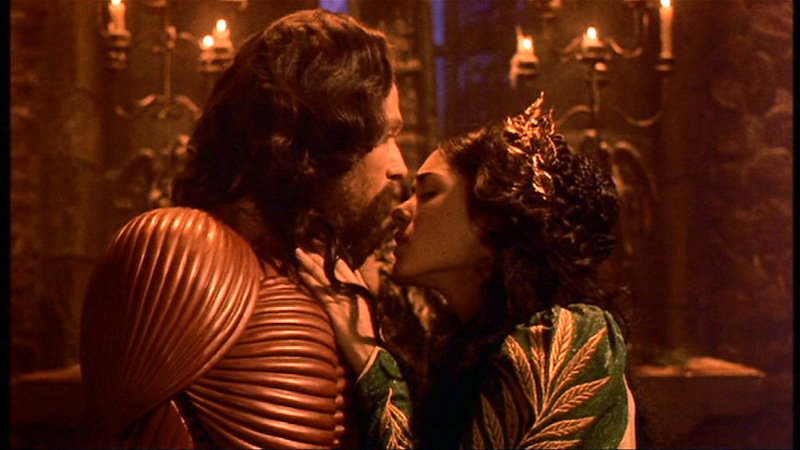 For nearly twenty years now, Bram Stokers’ Dracula has remained one of my favorite films. I was in high school when it first came out, and it has the distinction of being one of the very few movies that I’ve gone to the theatre to see more than once. It’s a beautiful film, which may seem like an odd thing to say about something that has more than its fair share of blood and the undead. With its underlying story of devoted love, a stunning soundtrack, exquisite costumes and a fantastic portrayal of Dracula though, I stand by the description of “beautiful“. Directed by Francis Ford Coppola and starring Gary Oldman, Anthony Hopkins, Winona Ryder, Keanu Reeves, Cary Elwes, Sadie Frost, Tom Waits and many more, Coppola, the actors and crew were meticulous in bringing their vision of this story to the screen. Coppola has said that as a child, he loved horror films (especially--no surprise--Dracula), looking up information on Vlad the Impaler in the encyclopedia as a boy, as well as reading Stoker’s novel. As an adult, it bothered him that other film versions of Dracula strayed so far from that story. While Coppola’s film does stay quite true to the book, even including characters that are often left out of other versions, it still takes some liberties and a certain degree of creative license. Instead of following the standard mindless monster formula of other films though, Coppola’s version begins by building a back story that not only explains the dynamic between Dracula (Gary Oldman) and Elisabeta/Mina (Winona Ryder), but allows the audience to understand his evolution. I won’t be a spoiler, but in one of the most dramatic scenes in the beginning of the film, a crucial event causes a once devout Dracula to denounce God and transform into the soulless being that many other movies have made into a one dimensional stereotype. It’s a pivotal scene; the audience can sympathize. Dracula has been devoted to doing what he thinks is right, but then is grief-stricken and enraged when he feels betrayed and forsaken by God. My apologies to Bela Lugosi, but Oldman’s portrayal of Dracula is my favorite of all that I’ve seen; he brought new depth and dimension to the character. 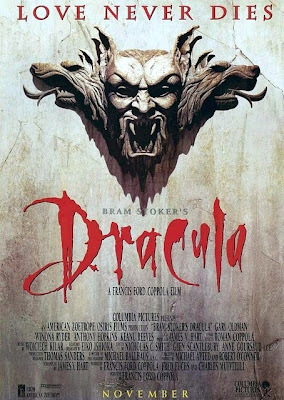 It’s that move towards showing Dracula as a complex being that’s captivated me since the first time I saw the film. As much as the storyline, actors, wardrobe and other components of the movie are vital pieces of a whole, so is the music. To try to separate the soundtrack from the film would be, to me, not only futile but foolish. International award winning composer Wojciech Kilar created gorgeous, lush instrumental pieces for the movie. Kilar has said that he was basically given free reign to create the music he wanted, and that with Coppola's films, he’s “inspired by the picture.” If that’s so, I'd say that the inspiration goes both ways; the audience can't help but be moved when the story onscreen is accompanied by one of Kilar's pieces. He's exceptional at evoking heartbreak, dread and elation, sometimes all at once. For all that I love about the film, like anything, it has its flaws. There are some scenes, such as one between a wolf-like Dracula and Lucy (played by Sadie Frost) that still seem out of place to me. There's also the oft-debated question of actor Keanu Reeves being cast as Jonathan Harker, Mina's fiancé. While it's not his most stellar role, Reeves himself has been quoted as saying that he wasn't satisfied with his performance either, and had taken on so many projects that he was spent. Yet flaws be damned and for all the time that's passed, I haven't "grown out" of my love for the film, even decades later. I hope that I never do.